For many small businesses, payroll is an inefficient and overwhelming task that can require resources your company cannot afford to invest. Outsourcing this critical function can actually save your company money and lighten your workload. At The Balance Sheet, a Scottsdale CPA firm, we will ensure your employees get paid on time and your payroll taxes are prepared and submitted on time. 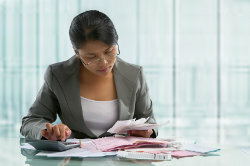 Do not waste another minute trying to figure out confusing federal and state payroll tax laws. Our expert payroll solution is designed to ease your burden and free up your time to manage your business. We customize our payroll service, to meet the needs of your business. No more penalties or late notices to deal with. Call us at 480-948-1080 or request your free consultation online now to learn how we can take over all your payroll processing and payroll tax needs. Our rates are affordable for all types of small businesses.